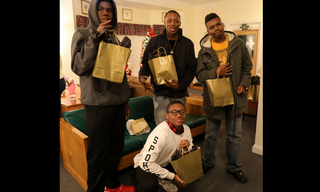 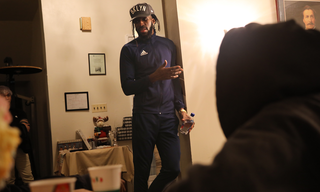 Arms filled with presents and treats, DeMarre Carroll, starting forward for an area professional basketball team made the holidays a little brighter for more than a dozen at-risk youth who reside in independent living programs and supportive housing in New Jersey. 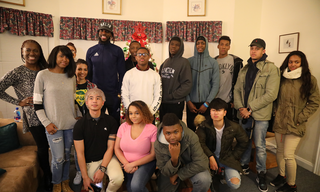 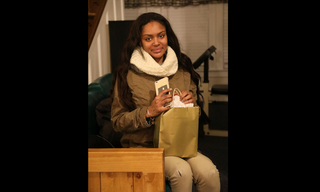 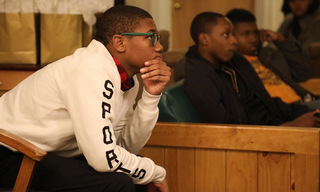 The youth, who have aged out of foster care, live in supervised apartments where VOA-GNY staff provide the stepping stones to adulthood they will need to live independently and thrive. 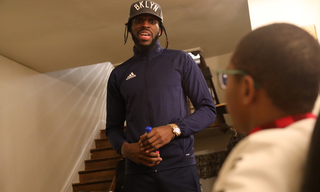 After handing out the presents, Carroll spent some time with the youth and joined them for food and refreshments generously provided by DeMarre and his foundation, The Carroll Family Foundation.